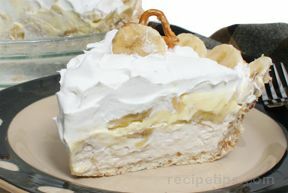 For a delicious banana cream pie without the fuss, start with bananas and vanilla pudding flavored with banana extract. Your family will love this easy recipe. 1. Mix milk and extract in medium bowl. Add pudding mix; beat with wire whisk 2 minutes or until well blended. 2. 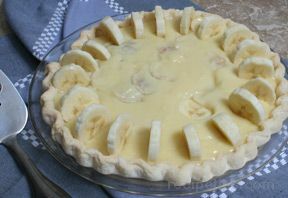 Arrange banana slices in bottom of crust. Pour pudding mixture over bananas. 3. Refrigerate 3 hours or until set. Garnish with whipped topping just before serving. 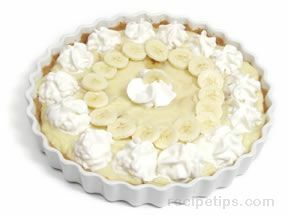 Store leftover pie in refrigerator.